Our newest Shea Butter Market Addition! 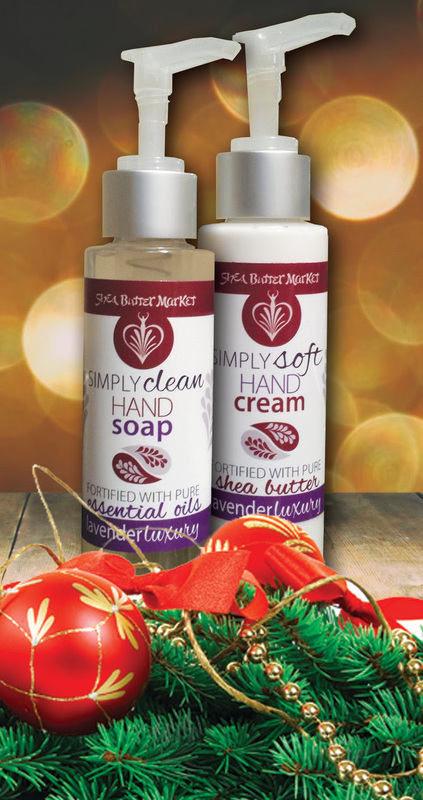 A delightful addition to any kitchen/bath where messy hands need a little extra clean love and attention. Our handy pump applicator guarantees a sufficient amount for thorough cleansing and moisturizing. Only $20.00 for the combo! 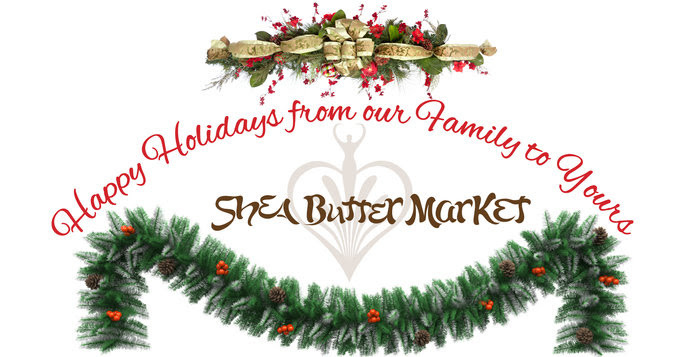 Choose ANY combination of Shea Butter Market products and receive your holiday savings! Our journey of bringing Shea Butter to the North American market began in Tapko, a small village located near the Burkina Faso border, just northwest of Wa, in Ghana’s Upper West Region. 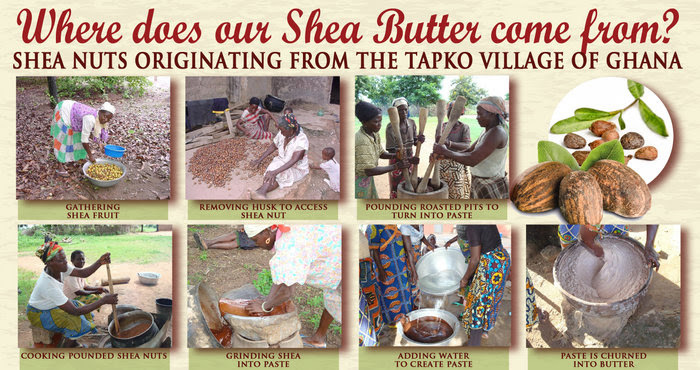 The Tapko Women’s Shea Butter is grown and produced in an area where there are no chemicals or additives. Over the last few years, we have also partnered with Baraka Supplies, where shea butter is hand-made by women and families from Kperisi village in Northern Ghana using age-old traditional methods. No chemicals, no harsh industrial processes, just the same traditional methods as they have used for millennia. By purchasing Shea Butter Market products you are not only buying some of the finest Shea Butter available anywhere in the world, you are also helping women and their families. Our customers can be confident in the fact that the women who produce our shea butter are paid a premium price for their product, and that by purchasing Shea Butter Market products you are making a difference in the lives of hard-working women and children. 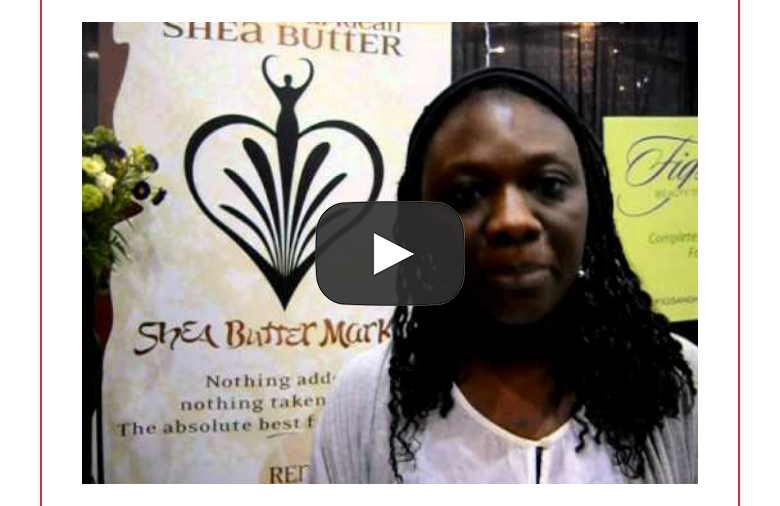 Below is a video of Shea Butter Market founder Gifty Serbey Dunn with a brief overview of Shea Butter Market products and Fair Trade intention. for full details, the latest updates and more!